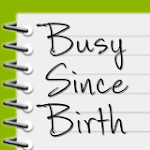 Busy Since Birth: August - Get Rid of It? August - Get Rid of It? It's been a rough August. On Slate, an annually recycled piece encourages us to just get rid of the month. After a very busy and fun July, I have to admit that this month has been kind of a drag. We attempted the Southwick Zoo in Mendon the first day of the month, but left after only a couple of hours because all four of us weren't feeling all that well. I took just ONE picture on that excursion, when normally I'd have taken many, so that's a strong indicator of how we were all feeling. 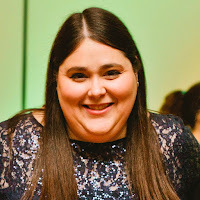 The following weekend was quiet - we attended the new Family Service at Temple Emanuel, which Marc and I are helping out with (but really, it's all rock star Pam). On Sunday Newton had an event where they closed the streets to traffic near Crystal Lake, and we had a great time, with Marc and Hannah on their bikes, and me pushing Max in the stroller. Unfortunately, that ended up straining my back muscles too much, and I have been in pain for about two weeks now. Definitely nowhere near the level of pain I experienced last winter, but not insignificant either. I've been trying to take it easy since then, and now I know that pushing the stroller is a bit too much for me, but it's still very disappointing. Fillis and John came over to hang out with us the next weekend, and it was great to see them when we didn't have a big event to attend. Marc and I took the kids to buy new sneakers - specifically to the Sketchers store. Sketchers advertises CONSTANTLY on the channels the kids watch, and it is one of the few brands that Max can proudly identify (even if he can't quite pronounce it). Max chose some totally obnoxious light-up shoes that look like flames are emerging from the toes (he loves them) and Hannah got her first pair with laces. Another fun milestone to pass. Max also got to spend a day with Fillis and John on his own, and he had a great time going to the beach and riding in a boat. Hannah had her second and final Arts Nite of the summer; this time she played the part of a duchess and said "do drop in for tea sometime" in her best British accent, wearing a very fancy red dress. This past weekend wasn't all that fun. Our dishwasher stopped working on Saturday, after just 3 years in use. We are awaiting a repair person, and we'll see what happens with that. It's an LG, and I've use the #LifeIsNotGood hash tag on Twitter to describe the situation. We're also attempting potty training with Max. As Marc said, if potty training were similar to getting your driver's license, Max could easily pass the written test, but he's not ready for the open road. Camp is now over, and Hannah's in an extra week at the JCC for "vacation camp," which thankfully is going very well. This weekend we'll be packing up for our annual road trip to Ohio to see my parents. We leave on Tuesday, and will be spending the night in Niagara Falls, on the Canadian side (yay for our new passports!). Then we'll have three days in Ohio, and we're hoping for good weather so we can check out the zoo and the air show. After the drive home, Hannah will have Labor Day to rest at home and purchase any last minute school supplies, as she will start first grade on Tuesday. Max doesn't go back to the JCC until September 13 due to Rosh Hashanah. So even though August wasn't the greatest month, I guess there was still plenty to write about. I'm very excited for September though - I love fall and we have so many exciting plans ahead of us. How long does it take to drive to Ohio? Safe travels, and good luck to Hannah in FIRST grade.